Quality air conditioning solutions from leading brands including Daikin. Maximise energy efficiency all while minimising your power bill. Improve the liveability and comfort of your home or business - both heating & cooling! It can be challenging to choose the right air conditioning solution when you are looking to retrofit a split system or ducted air conditioning unit into your Gold Coast home, or install an air conditioner into a new building design. There are many possible Gold Coast air conditioning solutions available on the market, however not all of them are of the same standard of quality. As well as this, air conditioners range from split systems, to ducted units and both are designed to fulfil a very specific purpose. Because of the wide range of products available, it is best to seek professional advice from the very beginning of the process and that is where the team at Crown Power South can be of great assistance to you. Often the most confusing stage of purchasing a new air conditioning Gold Coast solution is the first step: choosing the right unit. Our local Gold Coast air conditioning team has a lot of experience working with Gold Coast air conditioning systems and is well placed to offer you the best advice, right from the beginning. Because it can be so difficult for many people to choose an effective and high quality air conditioner, we aim to deliver end-to-end service that removes the stress from the process. We take into account each and every factor that might have some bearing on the efficiency or effectiveness of your air con, before providing you with a professional recommendation. Here at Crown Power South we are dedicated not only to our customers, but also to the environment. This is why we maintain a strong focus on energy efficiency, when suggesting air con Gold Coast solutions. Efficient air conditioners will provide you with the benefits of a reduced carbon footprint and lower energy bills. Our Gold Coast air conditioning technicians are committed to servicing your needs and will make sure that you receive professional advice, courteous and comprehensive installation services, ongoing service and maintenance plans and finally, a five-year warranty for all units purchased and installed through Crown Power South. To ensure that your air conditioning solution is of an uncompromising standard of quality we insist on supplying all units that we install, rather than risk your comfort and quality with inferior third party products. Here at Crown Power South, we have been installing Gold Coast air conditioning solutions for many years and are familiar with the heat and humidity of the local climate. This can quite often place a strain on your air conditioning unit – particularly if it is not well suited to your home or your needs. To ensure that you are not faced with unnecessarily high power bills or suboptimal cooling, our technicians take into account all the features of your home and lifestyle that might affect your air conditioner. Once we have conducted a thorough assessment, we will advise you on precisely which air conditioner is ideal, before installing it to perfection. To make sure that all of our Gold Coast customers receive the air con they need, we offer a range of split system, multi split and ducted air conditioning units. Throughout our many years of service, we have developed a process that is designed to provide our customers with the best products and services on the market. 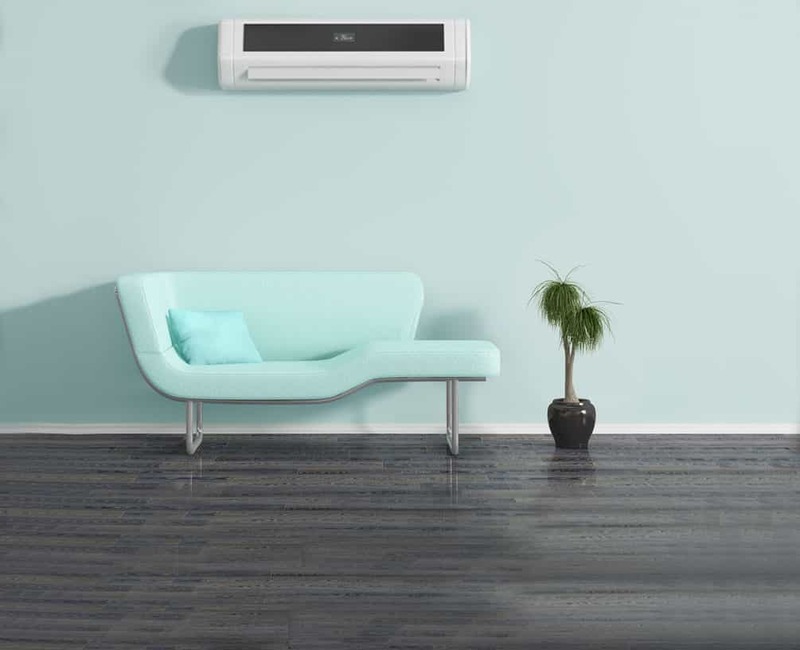 We aim to provide end-to-end service that takes the stress out of choosing an air conditioner and ensures that you are getting the best possible product. If you are considering upgrading the air conditioning in your home or business and retrofitting a new system, then we have everything you need. We also specialise in incorporating new air conditioner units into new home designs. Simply contact us and arrange an assessment with one of our specialist Gold Coast air conditioning technicians. Once you have decided upon a time that suits you and arranged it with our friendly team, one of our Gold Coast air conditioning technicians will visit your premises and assess all the factors that might have an affect on your air conditioning system. This is an important stage in our service process, as it allows us to take all of your needs into consideration and assess your home or business to decide upon which air conditioning unit is best suited to your requirements. Your options range from single split and multi split system air conditioner, to ducted air conditioners and each is best suited to a specific purpose, which is why our assessment is so important. Following our assessment of your home or business, we will contact you with some recommendations and a quote for the product and its installation. Generally, we will recommend a split system, multi split, or ducted air conditioner, depending on the outcome of our inspection. Each of these systems requires a specific installation and we will include all the necessary details in your quote. You will not be asked to pay anything in excess of the quoted price, which means you get peace of mind knowing that the quoted price is the final price. Crown Power South take the guesswork out of the quoting process, so you can be assured you have the best Gold Coast air conditioning team working for you. If you are satisfied with our quote and recommendations, you can arrange for your new air conditioning system to be installed at your convenience. Our Gold Coast air conditioning technicians are some of the most experienced and skilled in Queensland, so you are guaranteed professional service and an air conditioner that is installed in accordance with Australian standards and, of course, our self imposed standard of unmatched quality. We value your home or business as though it is our own and we will ensure that all mess is cleaned up and all waste is removed following the installation. At Crown Power South, we are dedicated to our clients not only during the sale and installation of your air conditioner, but also throughout its lifetime. We offer a comprehensive range of post-sale and installation services and we strive to make ourselves available to you in the event that you require any additional assistance or air conditioner maintenance. As a testament to the quality of our products and their installation, we offer a five-year warranty on your Gold Coast air conditioning unit and its installation. If you are tired of having an inefficient or ineffective air conditioner in your Gold Coast home or business, then contact Crown Power South today. We stock some of the best air conditioner brands in the world and offer installation services to suit the needs of all Gold Coast residents. You can contact our office by filling out our online contact form or, if you would prefer, calling us to discuss your Gold Coast air conditioning needs. #1 What range of air conditioning brands do you offer and what ratings do these brands have? Here at Crown Power South we strive to deliver the best Gold Coast air conditioning solutions on the market, which is why we offer leading brands including world leading Daikin air conditioners in addition to a range of other top brands. These brands use leading edge technology in their air conditioning systems to ensure that you get the highest ratings and best energy efficiency. #2 How do I choose the right Gold Coast air conditioning system for my home? Every home is different and room size, ceiling height, windows and sunlight can all contribute to the kind of Gold Coast air con system you will need. Our experts will give you the best advice on the air conditioning system you need after taking into account all these factors during their initial assessment of your home or business. #3 What qualifications do your Gold Coast air conditioning technicians have? At Crown Power South, we demand the best in service and quality for each of our customers. For this reason only skilled and licensed Gold Coast air conditioning technicians, with all of the necessary training and qualifications, complete our installations. This ensures that all our work complies with Australian standards. #4 Will I need to maintain my air conditioning unit? As with all appliances, your Gold Coast air conditioning system might require some basic maintenance over the course of its lifetime. 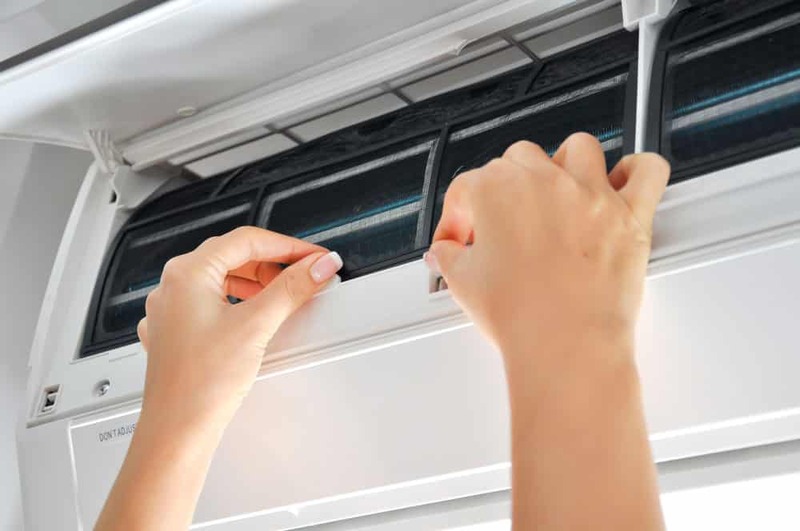 This maintenance varies depending upon the precise model of air con unit that you have. It’s always best to ask one of our specialists for more information before attempting to undertake any maintenance tasks yourself. #5 How long can I expect my air conditioning unit to last? The average life expectancy of an air con unit can vary based on several factors, such as proper installation, appropriate care, and even just how long you run your machine for each day. While you can generally expect your air conditioning system to start showing signs of decreased performance after about 10 years, regular maintenance of your machine can give it a prolonged lifespan. Newer, more efficient machines can be expected to last over 15 years, subject to receiving the right care. For your peace of mind, all of our Gold Coast air conditioning units come with a 5-year installation warranty. #6 Will air conditioning add value to my home? In the heat and humidity of the Gold Coast, spending a summer without air con can be uncomfortable and unpleasant. Not having proper air conditioning on the Gold Coast can also be expensive for homeowners, as other methods of dehumidifying or cooling your home are less efficient, and much less cost effective. Whether your property is owner occupied, under lease, or on the market, having effective air conditioning installed can add significant value to your household. #7 I have allergies: Is air conditioning safe for me? In short, yes. Air conditioning is safe for people with asthma or hay fever to use, and – with regular cleaning – your Gold Coast air con unit could actually help to reduce airborne allergens and dust particles in your household. Furthermore, the dehumidifying function of your air con unit removes excess moisture from the air, which could help with other respiratory issues. However, it is important to note that if you do not regularly clean the air filter or fan blades in your machine, this could result in a build up of dust. For advice on how to best care for your particular air conditioning unit, ask one of our expert staff! #8 Will my air conditioning unit be noisy? The Gold Coast area has strict noise regulations when it comes to air conditioning. It’s important to make sure that your specific air conditioning unit abides by these regulations, and doesn’t impact negatively on your neighbours. 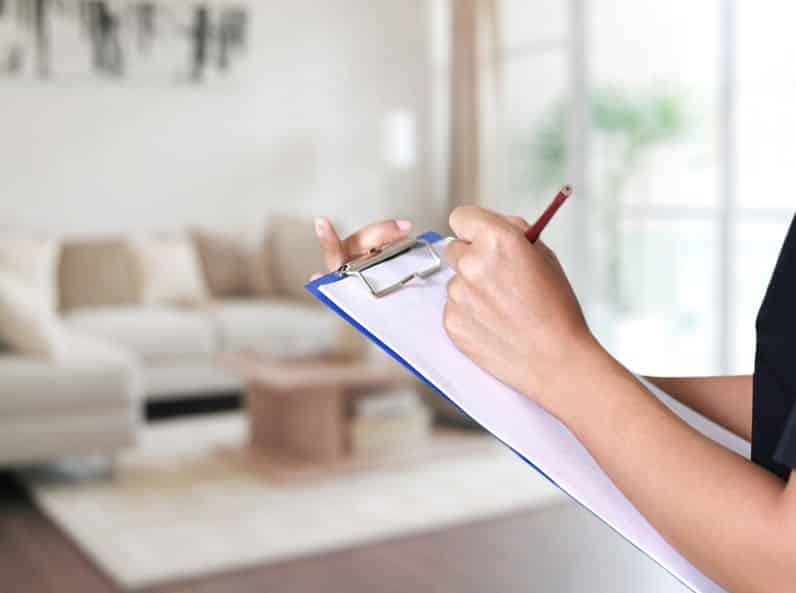 Here at Crown Power, we conduct thorough assessments of your property before we install air con in your home, and factor in things such as the distance between neighbouring properties. If one of our dedicated Gold Coast air conditioning experts suspects that a particular air con unit might be at risk of breaching noise regulations, they will be sure to recommend a better option for your household.